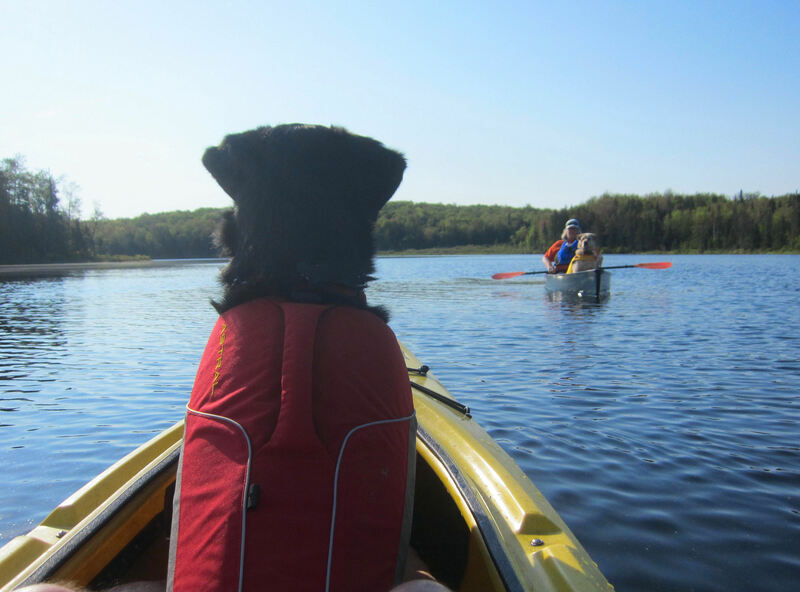 “Admiral, there be whales here!” | Vermont Paddle Pups! Well, actually just loon wails…and tremelos, yodels, and hoots! 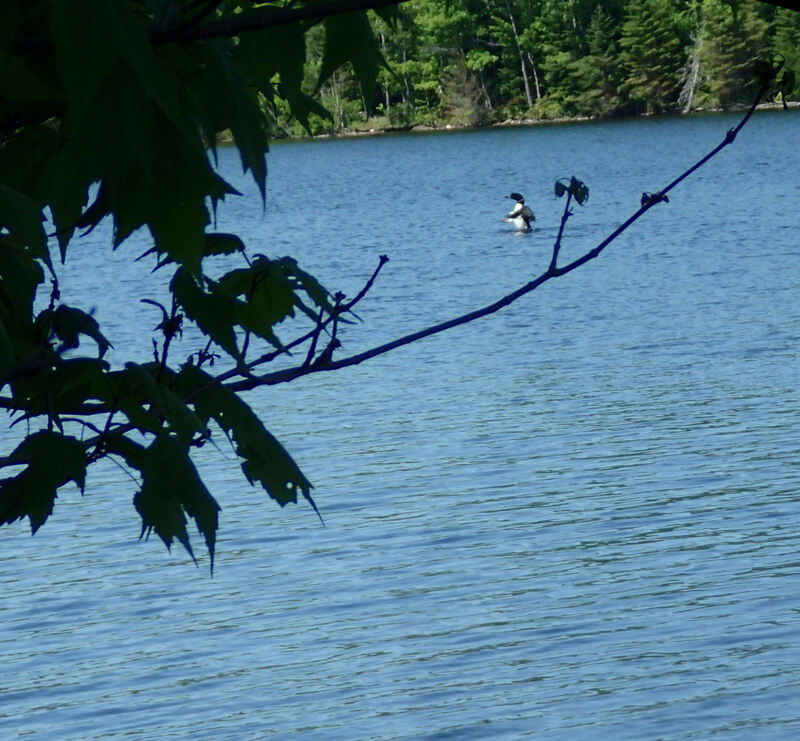 The many loons were extremely vocal, filling the air with their haunting calls, echoing around the 650 acre reservoir. Our vantage point? 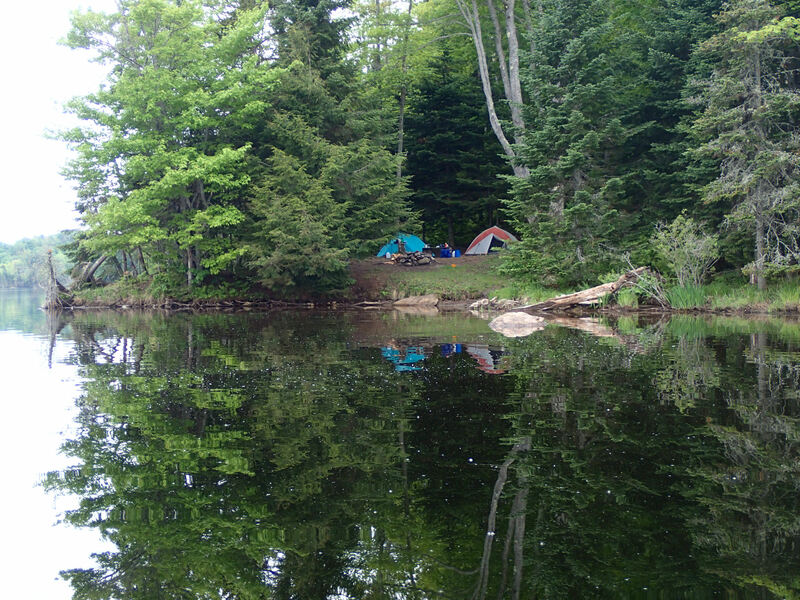 A peninsula campsite, surrounded nearly by water, with a great view of nearby islands and loon nesting areas. We were unsuccessful in getting good audio of their amazing evening symphony, but here is a taste of their early morning chorus…. Our second favorite site at GRRSP… pretty nice for a second best! We had made the reservations for this trip the Green River Reservoir State Park last winter, while we were blanketed with snow, and bitter cold persisted. 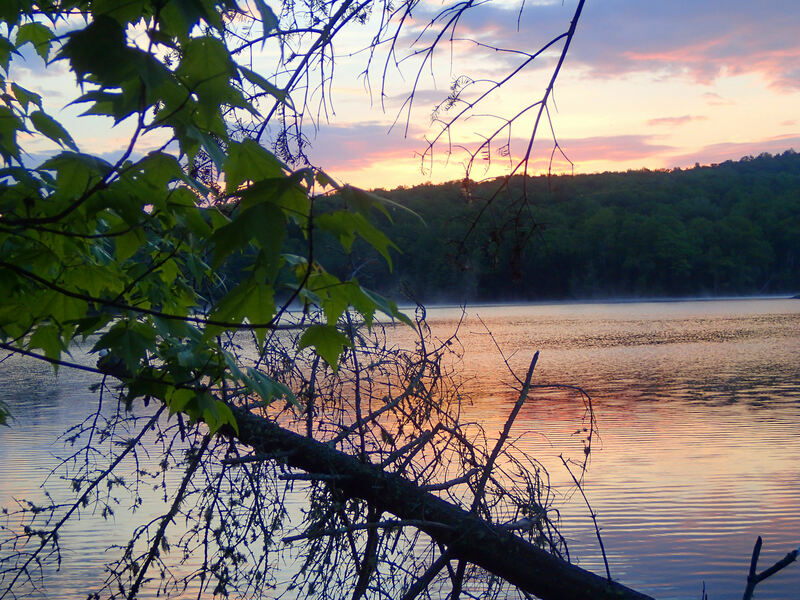 This is one of our favorite camping spots…it is only 30 minute from our home, has only 30 campsites, and is a designated “quiet water lake”, meaning the peace and serenity are not disrupted by power boats. This trip was a “family” trip. We were accompanied by my sister-in-law and my mother-in-law. 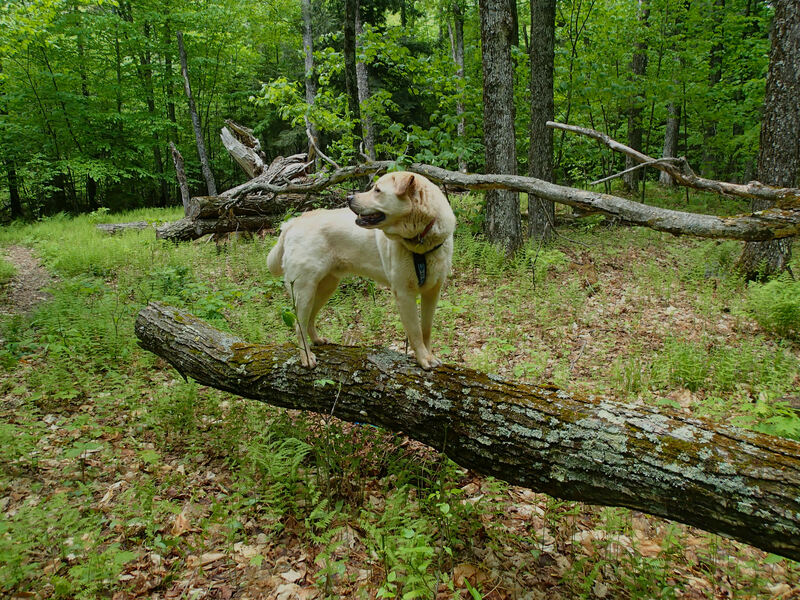 Both are avid outdoors-women, and it is always fun when the can join us on an adventure. I will not disclose my mother-in-law’s age, but I can say, she is a proud member of the 90+ ski club…. Gram was willing to try out one of our Bending Branches bent shaft paddles…. Our weather was wonderful, the best day of the week…sunny and 75 degree temperatures, with light winds. 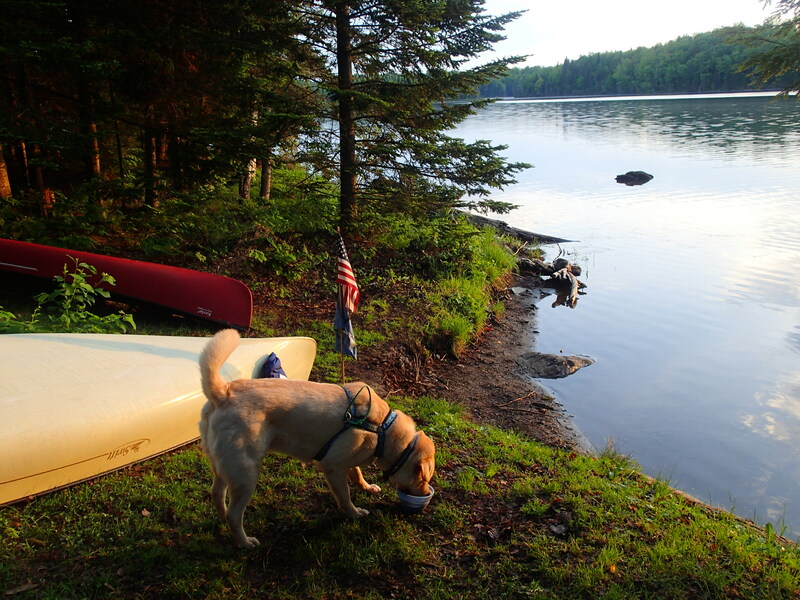 We made camp, and after a dinner by the water’s edge,w e headed out for an evening paddle. 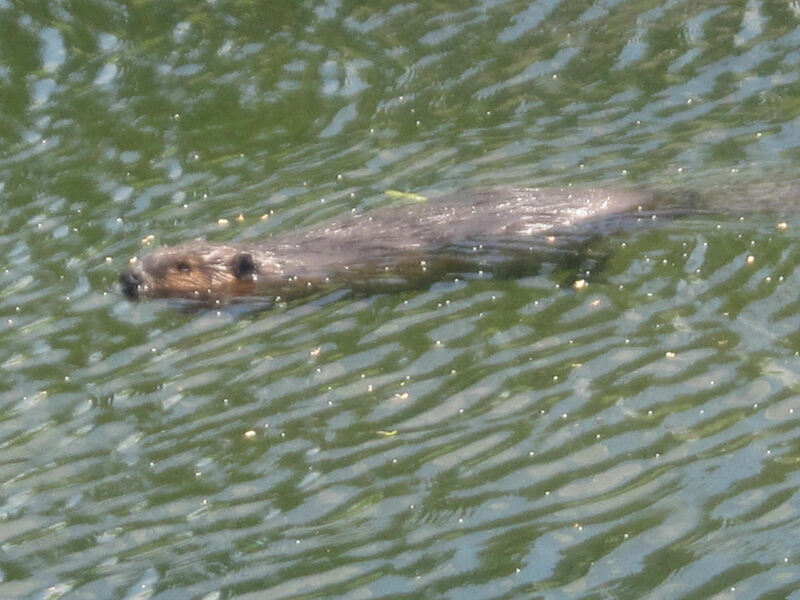 This guy was actually from a previous trip….but this one stayed cool and calm! 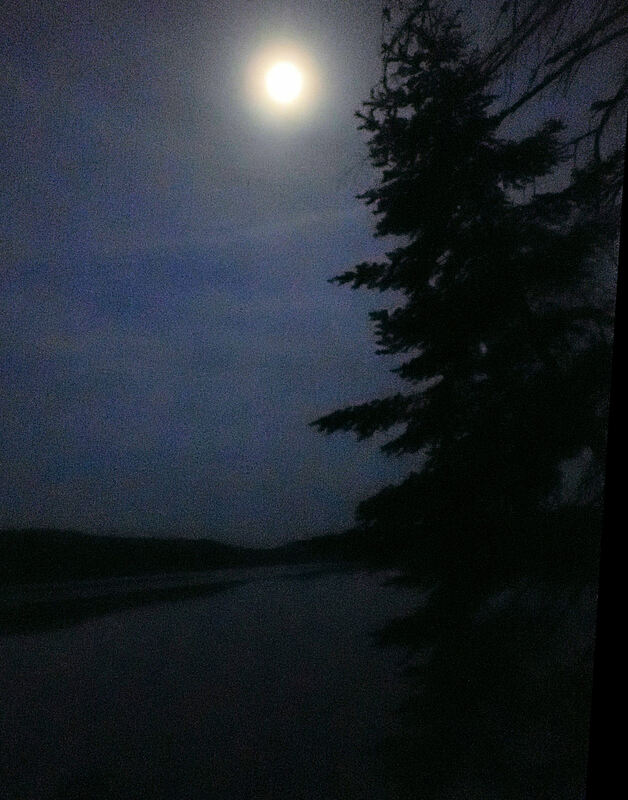 It was a cool, calm, and nearly full-moon night at the site…quiet except for the sounds of frogs, geese, and our loon neighbors…it is amazing how peaceful camping can be! 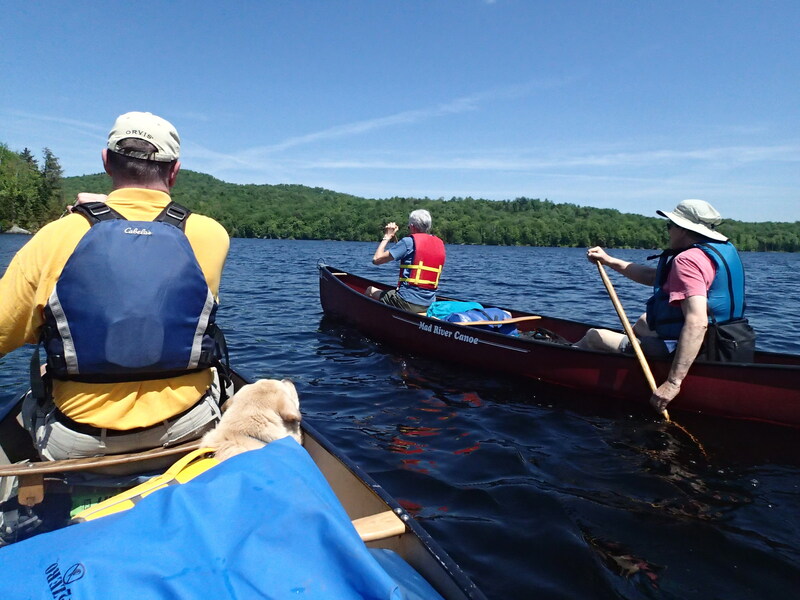 Earlier in the week, we had gone out to Wolcott Pond, so that we could give the new kayak a test run…I paddled my solo boat with Gryphon, while Edgar assumed a very alert forward position in the kayak. At first, the dogs seemed a bit bemused by seeing each other in a separate boat, but they soon each settled down, and seemed to enjoy the individual attention. This trip was a great bird-watching expedition. 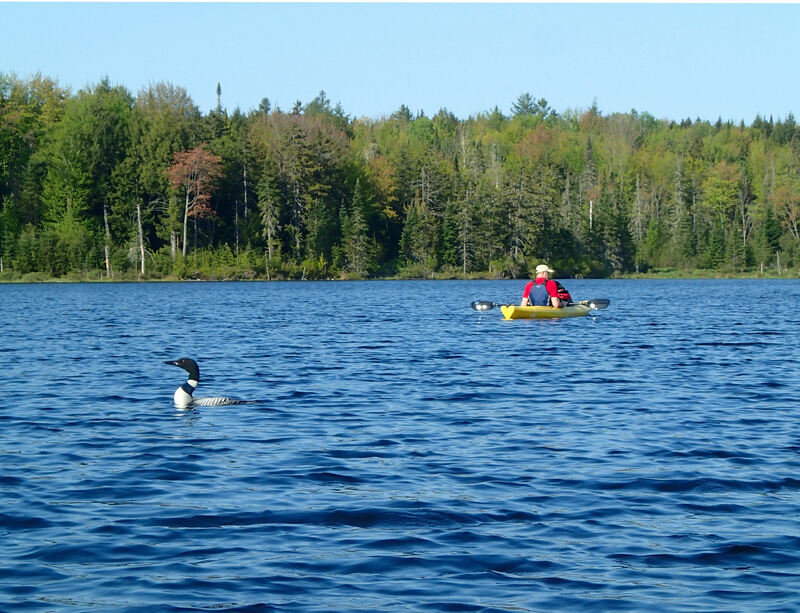 A pair of loons, and a solitary loon were present, and as much as we tried to get away from the solitary loon, he kept popping up near our boats. He even photo-bombed a photo I was taking of Edgar in his kayak! We also paddle by an American Bittern standing in the marshes …not a rare bird, but one which we have never seen before while paddling. Any doubts we may have had about his identification from visual cues was quickly dismissed, as we heard the distinctive sound of his call. 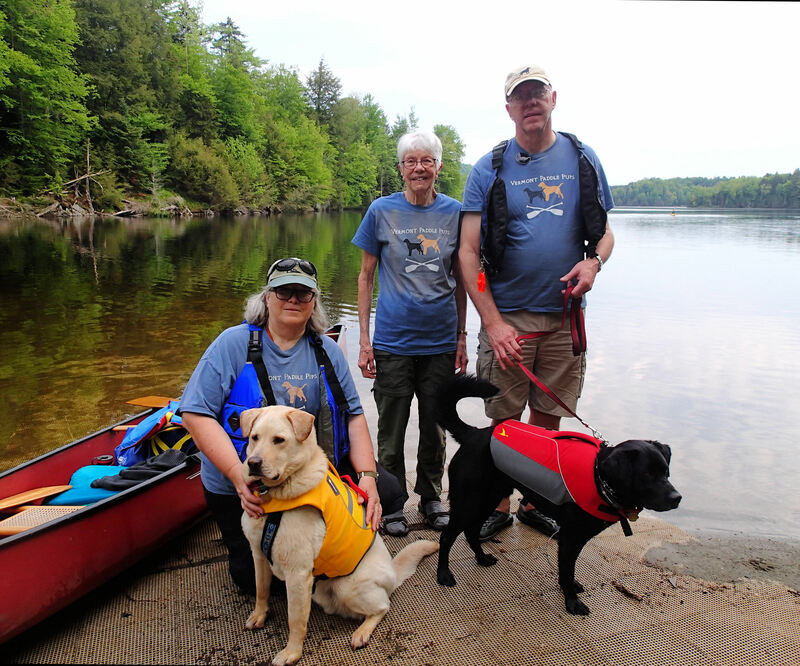 Our Wolcott Pond trip was a great success; we are now working on ways to adapt our roof rack to carry two boats! Being able to carry two boats, on one vehicle, will greatly increase our paddling options. 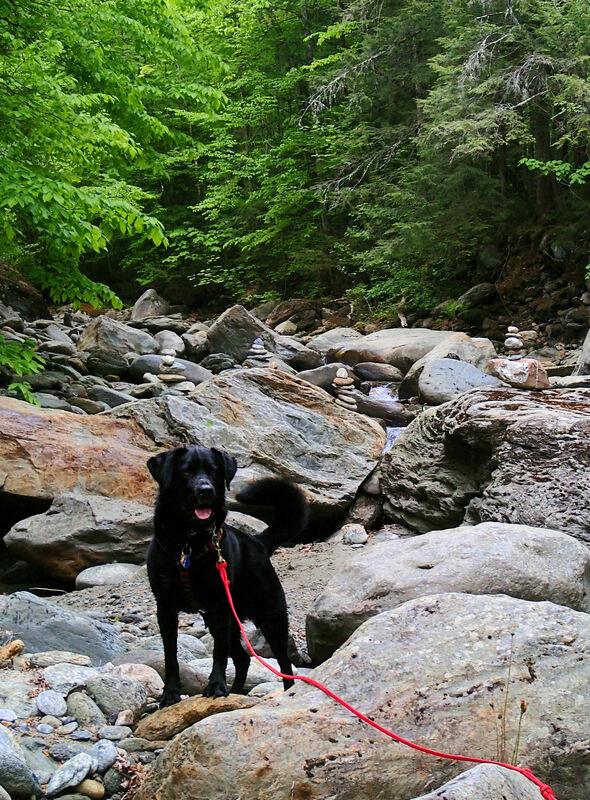 Between paddling activities, we got out for a few local hikes. 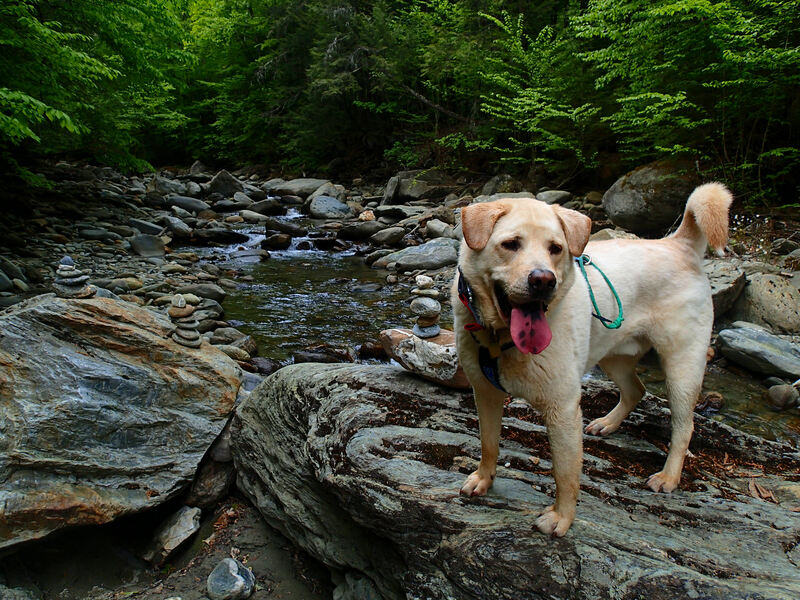 There was a long holiday weekend, which tends to result in crowded trails, so we utilized some local “hidden gems” which do not get nearly the use of the well-known trails. 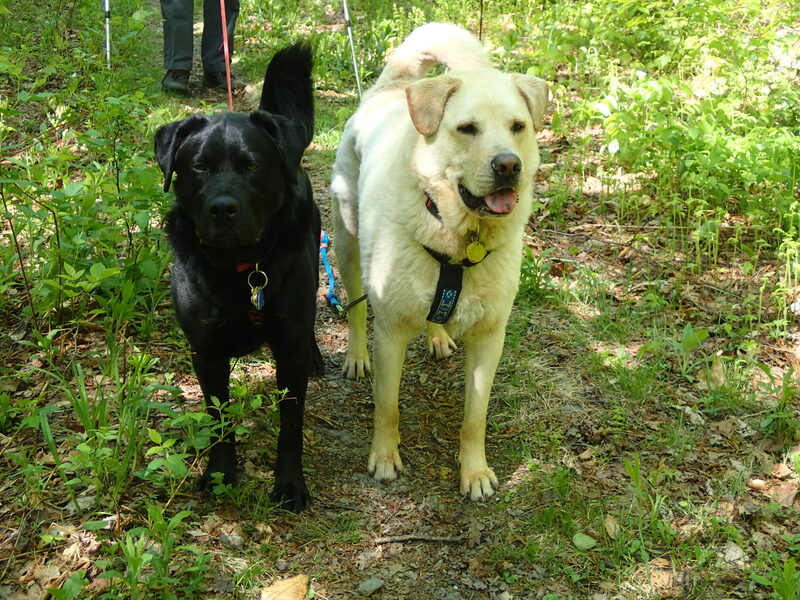 Even though we are now fully embedded in paddling season, we still try to get the dogs out for hikes or climbs 3-4 times per week, to give them the additional physical activity. 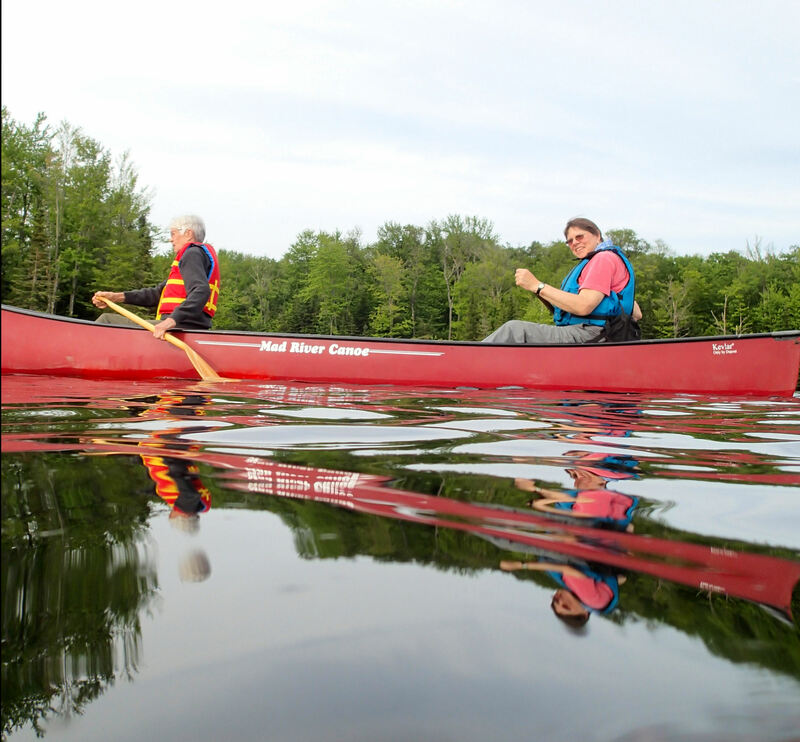 We have a few more canoe camping trips upcoming, including a river trip, which will involve using a shuttle bus service. 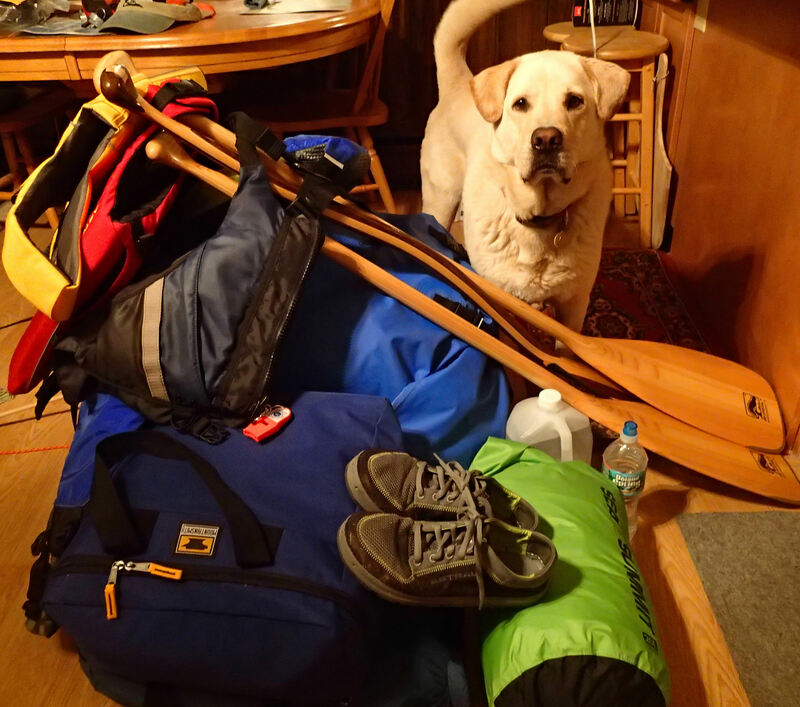 I am sure the dogs will do just dandy…they are always excited and eager to go, once they see us start gathering the gear! And now June arrives…with 3 days of temperatures topping out near 55 (f), rainy and windy weather conditions. But the good new is…we have a WINNER! The winner of the Kurgo collapsa-bowl, and the Kurgo Mud Dog towel, is Mitch C. We thank Mitch,and all the other folks who checked out our blog, and left a comment! ← A Great Getaway…and our first Giveaway!